May, 2017 | AllTech Services, Inc. 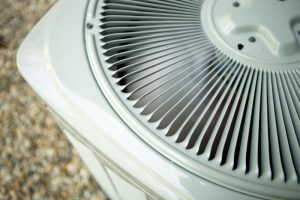 Your air conditioning system is likely one of the most expensive investments within your home, and as such it’s only natural that you want it to be taken care of. With professional service and careful attention, your cooling system can last a long time, and save you money with better efficiency and lower energy bills in the meantime. Every air conditioner comes with a manufacturer warranty—usually lasting anywhere from 8–12 years. Ideally, your system will last for many years beyond that—but it can only do that with proper care. 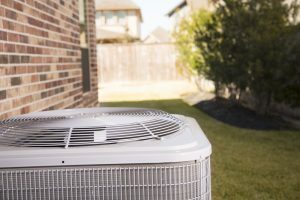 There are some small things you can do each summer to keep your air conditioner from working too hard, such as setting your thermostat higher when you aren’t home, wearing lightweight clothes so you don’t need to blast the AC as much, and opening your home in the evening rather than running the air conditioner. You can also ensure that you change your air filter every 1–3 months to protect the interior components. To truly help your air conditioner last longer, though, there are other Herndon, VA air conditioning services that require the aid of an HVAC professional, which we’ll get to below. Air conditioner refrigerant has been a hot topic of conversation lately, with R-22 steadily being phased out for a more environmentally friendly version of the fluid. We thought we’d uncover a common misconception about this important component of your air conditioner, as well as a few other Ashburn, VA air conditioning services myths that could be put to rest. There’s No Time Like the Present for AC Maintenance! As we progress into spring, there’s no better time to start talking about, and scheduling, Sterling, VA air conditioning maintenance. Warmer weather really isn’t that too far off, and when the temperature rises, it often does so with little warning. So of course, it makes sense that you want to ensure your cooling system is prepared to do its job all summer long. The only way to do this is by scheduling your routine air conditioning maintenance before you need your cooling system on a daily basis. Posted in Air Conditioning | Comments Off on There’s No Time Like the Present for AC Maintenance!